Teach little ones the meaning of Remembrance (Veteran's) Day with this simple tear art poppies craft. 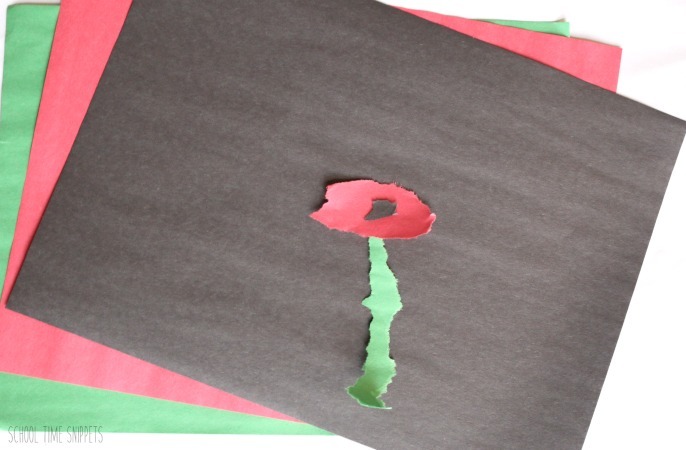 Create a field of poppies to honor those that have served in the armed forces with this simple torn paper technique. Each poppy will be as unique as the individuals who have fought for freedom. November 11th marks the anniversary of Remembrance/ Veteran's Day. The day first honored those who fought in World War I, but has since been broadened to honor all those that have served. Have you taught you children about Veteran's Day? Is there something special that you and your children do in remembrance of those who have served? We made a field of poppies with paper. Grab a sheet of green, red, and black construction paper. Next, rip a small circle from black construction paper and glue it to the middle of your tear art red flower. Finally, tear a stem from green construction paper. Glue the flower onto a piece of white paper. 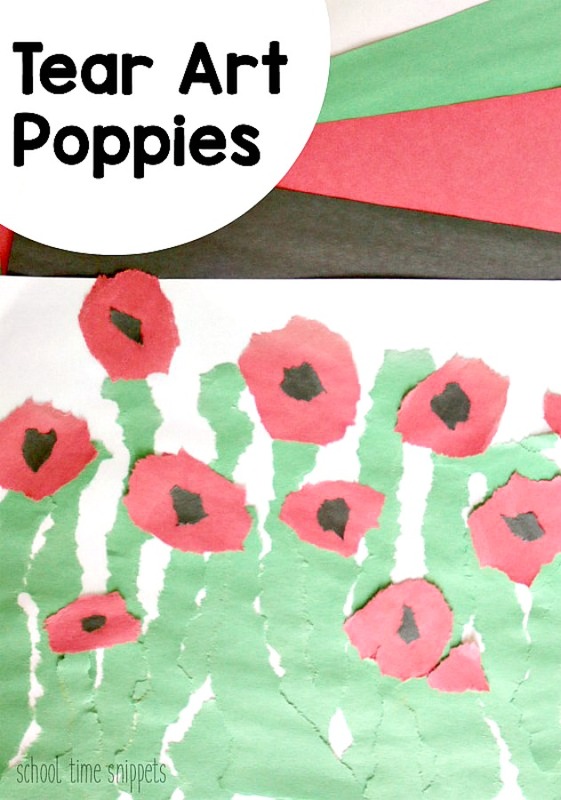 Continue tearing the colored sheets of paper to make more poppies until you have created a "field of poppies." 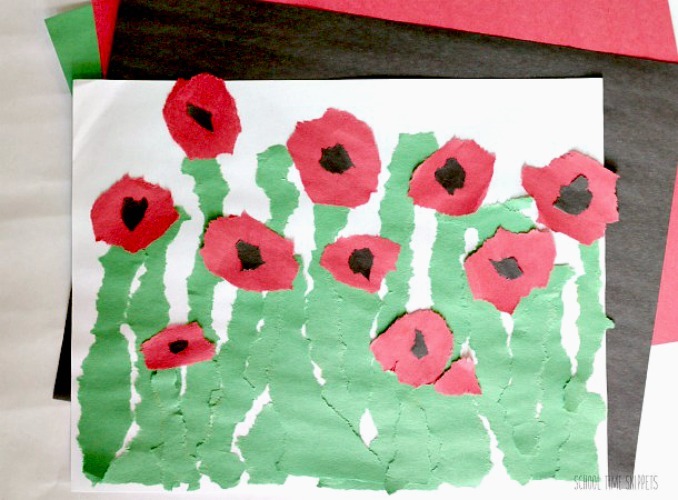 ** If you have more than one child, making this Remembrance Day Poppy Craft a collaborative effort may be best. Or, make several and find a neighbor, family member, or a Veteran from church and gift this lovely craft to him/her as a way to say, "Thank You." Our field of poppies was truly unique. I loved that it was a simple way to introduce a very complicated and sad part of history to my children. 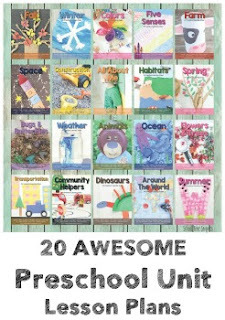 Bonus that it also was a way to sneak in fine motor skills, too!! Creating tear art was a great way to keep little hands busy all while honoring those who have fought for us.